Like many others, I admit to having a slight obsession with all things Hogwarts, and having a Harry Potter marathon is a regular feature in my life! 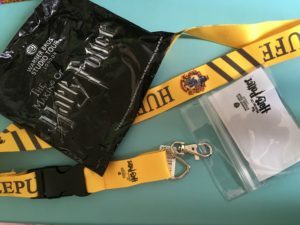 I went to the Harry Potter studios in Watford which was amazing, although I found the giftshop really expensive (though that is to be expected-c’mon these people aren’t stupid). Of course I had to treat myself to a chocolate frog (which was basically a plain cheap chocolate shaped like a frog, but it did come with the character card which was pretty cool. I definitely recommend going to the studios if you are a HP geek like me. We stayed over at the Hilton Hotel which was a little outdated, but only a short drive away from the studios and it was next to a Toby Carvery which would go down a treat if you are with your family. 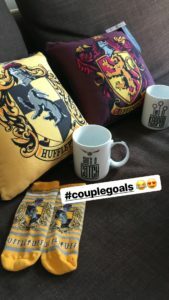 What I found particularly cool was the fact they had bed throws and cushions (although the majority of stuff was Gryffindor and Slytherin, and the Ravenclaw and Hufflepuff was slightly forgotten). 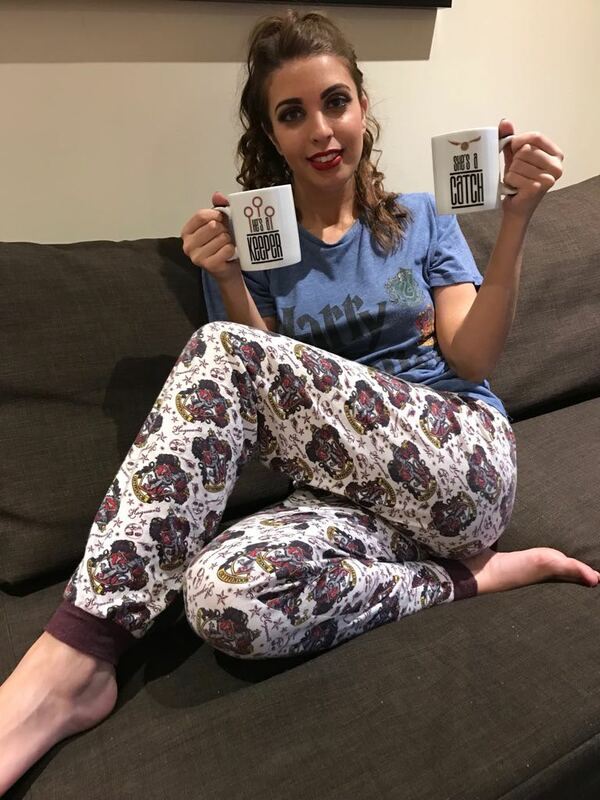 I treated myself to some PJ’s and the most amazing his and hers mugs for £8 which say “He’s a keeper” and “She’s a catch”, how cute! #purecheese #couplegoals. The cushions you can see in the picture were only £4 each and the trainer socks were cheap too. That’s the thing I love about primark-it caters for everyone. Another great place to visit if you like HP is the Shambles in York. 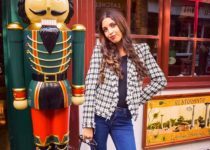 It looks and feels like you’re walking down Diagon Alley and there are a few magical shops there too! Go and take a look it’s amazing. (I also have a few snaps on my instagram if you want to take a look). Do you guys know any other cool HP themed places or know anywhere else you can buy themed merchandise? I’d love to hear from you as always.